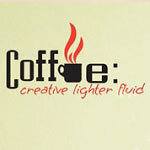 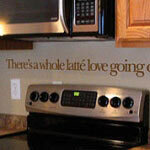 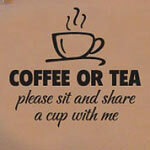 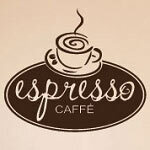 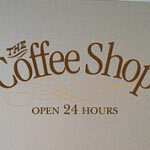 Find some creative vinyl wall decals for your customers to enjoy while they are spending time at your coffee shop. 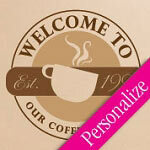 You can customize with your colors and shop name. 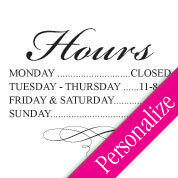 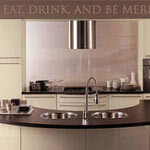 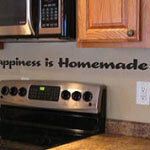 If you have another idea, contact us so that we can set up the vinyl wall decal that you are searching for.